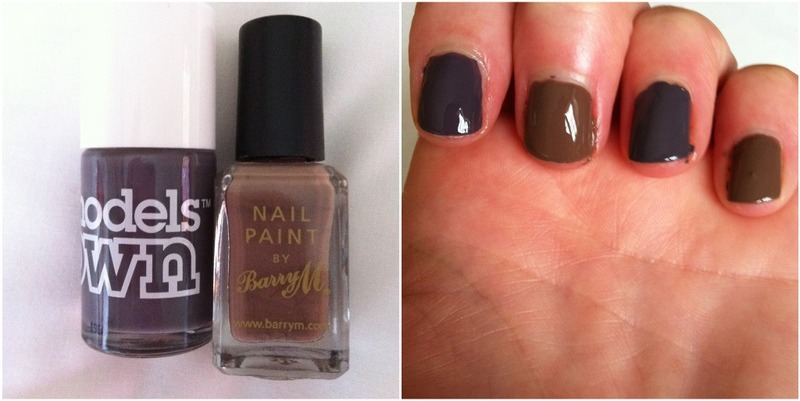 Models Own and Barry M Mushroom- £5 and £2.99 from Boots. At times I'm rather OCD and don't like when make up products are called the same shade as another product from another brand. Take for example Barry M and Models Own nail polishes in "Mushroom" as you can see neither are in any way shape of form similiar to one another. Models Own is more of a purple/grey shade whereas Barry M is more true to a mushroom shade- brown/grey. I don't know but I'm really not keen at all on the Models Own shade even though it lasts longer on your nails than the Barry M.
I know its a bit of a random post, but whats your thoughts on products which share the same name?